BCPWN - First Friday Luncheon: Women, We're Wired for Tech! First Friday Luncheon: Women, We're Wired for Tech! As a woman-owned minority enterprise, SheTek understands the struggle that women face in the competitive landscape of technology. 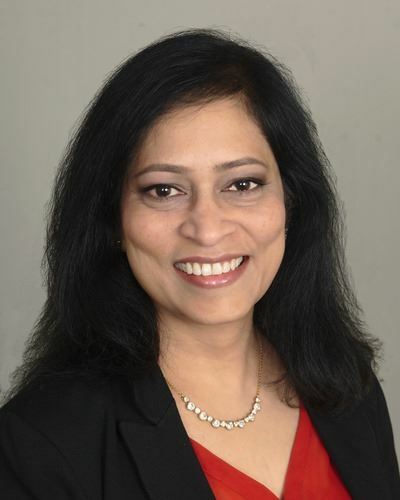 Chaya Pamula, Founder and CEO of SheTek’s parent company PamTen Inc., has worked with Fortune 500 companies for the past 20 years. SheTek was formed in 2017 with the goal of wanting to share knowledge, technologies and connections with companies that advocate for the talented women and girls who are the future of the tech industry. Train and counsel women to find jobs in technology, excel in their careers and plan for career advancement. Create an engaged network for women in tech.Ensure that future generations of girls are tech-savvy and have access to mentorship and training. Chaya Pamula is a technologist, philanthropist, a visionary, mentor, an entrepreneur and above all a passionate human being. She holds an MBA and an Executive Education Certification from Harvard University. She has over 25 years of Information Technology experience and has led many productivity initiatives that involved Business Process Improvement, business transformation/re engineering, and IT portfolio optimization. As President and CEO of PamTen, which she co-founded in 2007, Chaya conceptualizes innovative software products for PamTen and its clients, and oversees them from development to implementation. PamTen Inc. provides technology information services to a diverse set of clients, from small businesses to large corporations and has been ranked as an Inc. 5000 company, placing them among the fastest growing private companies in the U.S. PamTen is a certified Minority and Women-owned Business Enterprise (MWBE). Chaya combined her business acumen and passion for charity to found SOFKIN (sofkin.org), a non-profit organization that creates loving and caring homes for destitute and under privileged children. SOFKIN operates in The United States and in India and supports over 100 beautiful children. SOFKIN children are given medical attention, cared for, fed, educated, and sheltered within a nurturing environment. Chaya is deeply involved with the NGO on a daily basis and the children are treated no different than her own. SOFKIN has youth groups established In New Jersey, Philadelphia, and India, where the students from local high schools and colleges volunteer for the organization. Her passion to empower young girls and women in the field of Technology led her to found SheTek in 2017. SheTek’s mission is to spark early interest in technology for girls, mentor them through the transitions into college and into the workforce, and pairs talented women with companies who need technology services and staff. This initiative of PamTen’s encompasses four pillars: SheTek-STEM, SheTek-POWER, and SheTek-PRENUER.